Economist Nouriel Roubini, who in 2005 warned of the US housing collapse, said Monday gold prices could fall toward $1,000 an ounce by 2015. 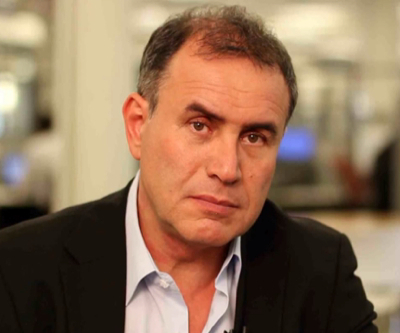 The cofounder and chairman of Roubini Global Economics, also known as Dr. Doom, told Index Universe the recent rebound in gold is only transitory. He estimates that from current levels, bullion prices may see another 25% to 30% correction. Among the reasons Roubini quotes for saying the gold bubble has burst is the way they tend to spike when there are serious economic, financial and geopolitical risks in the global economy. He also believes gold performs best when there is a risk of high inflation, as its popularity as a store of value increases. Along with most analysts, Roubini will watch closely this week’s US Federal Open Market Committee meeting, as an official announcement of stimulus tapering would likely drive gold prices lower. Gold futures climbed Monday for the second time in three sessions on signs of increased physical purchases.